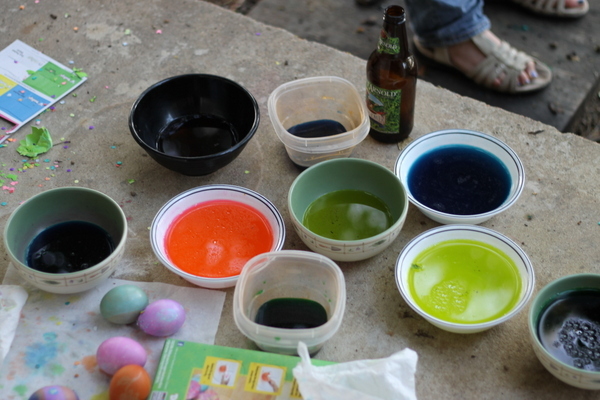 I had a couple of friends over for food, beer and egg decorating on Easter. 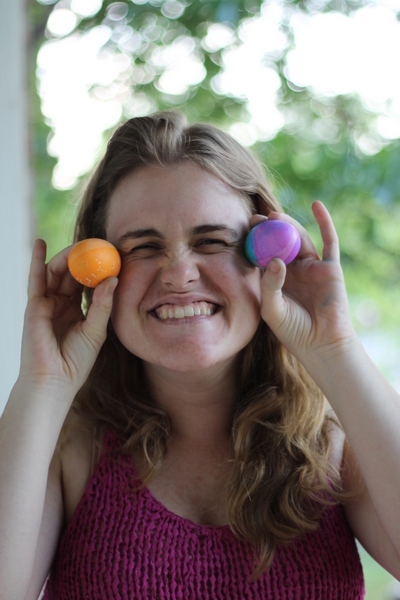 I haven’t decorated eggs in forever and my two friends, one Jewish and the other Southern Baptist turned Buddhist, had never decorated before. 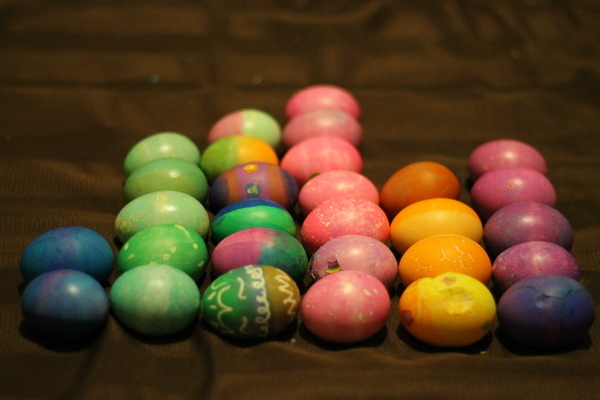 Although, they were much better at than me at decorating; I’m not particularly craftsy. 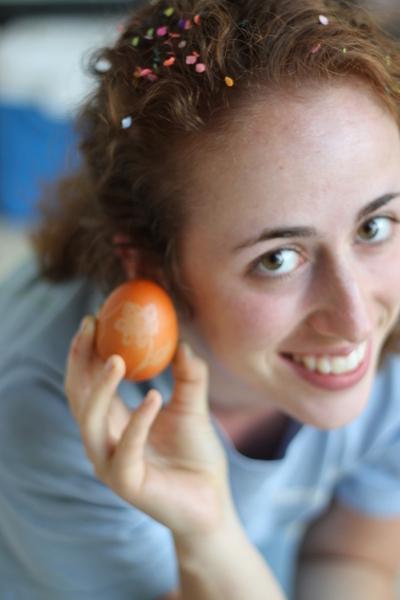 My friend Anna with her beautiful egg. (Ah! She’s an amazing conversationalist!) The confetti in her hair is from the cascerone I knocked her with. 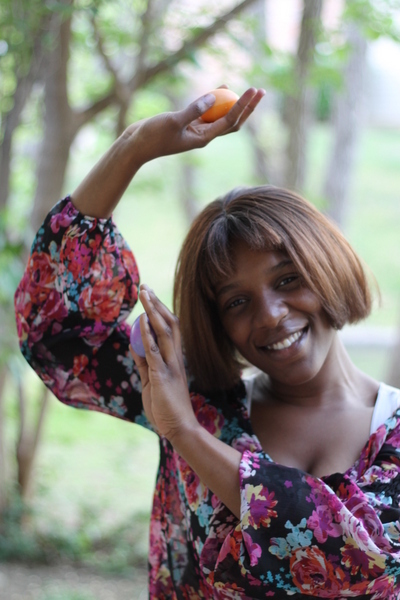 Zany brings flair to anything she does. Anna took this picture of me – I think it’s super cute! All three of us – this was actually really hard to coordinate. The fruits of our labors! 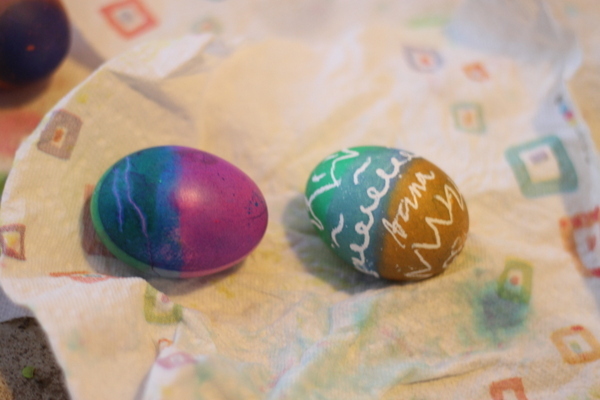 The egg on the left is mine and the egg on the right is Anna’s. Our complete catch. 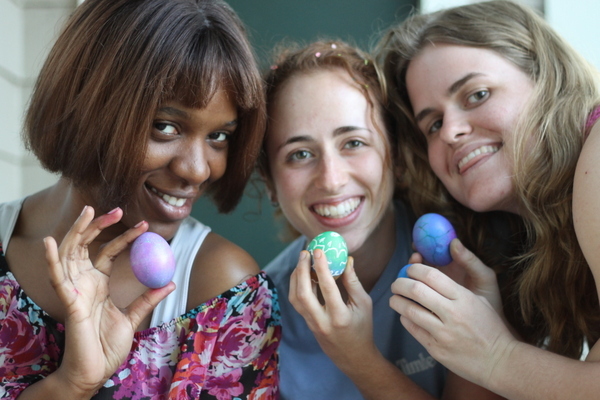 Many of the eggs are cracked because a)I fail at boiling eggs and b) Anna and Zany kept on dropping the uncracked eggs. 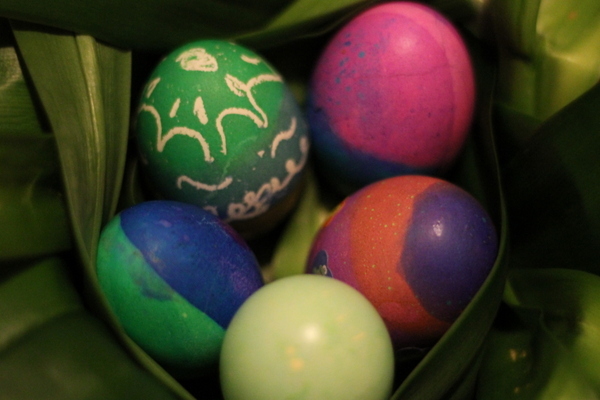 The nested eggs. Unicorns will hatch from them if I incubate them under a rainbow.